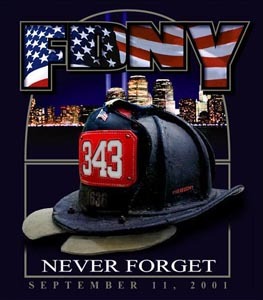 Every year we at Capitol Fire Training like to honor the fallen brothers from the City Of New York Fire Dept., that passed away during the attacks on the World Trade Center in 2001. Below is a list of all the firefighters that died that day, in alphabetical order. Thank you to all who made the ultimate sacrifice. There has often been much discrepancy about ladder work, placement of ladders, and to which windows we would throw our ladders. This is always an interesting topic as there are many opinions and everyone has what they feel is logical for the task at hand. Most ladder companies whether it is a truck, quint, or tower ladder carry a wide assortment of ground ladders. Any length from 14’ foot straight ladders to a 45’ Bangor pole ladders are common ground ladders for a truck company. I haven’t seen the 45’ Bangor pole ladder ever thrown, as it requires too many personnel to get it into position, but having it available isn’t a bad idea. But the rest of these ladders, are ladders that can and should be thrown by one or two people at a max. It should be common practice that ladders get thrown for every assignment where there is a report of fire (not to be confused with if there is fire or not: “A Report of Fire”). A few things to consider when throwing ladders should be ladder placement, placement order and knowing where each ladder can reach on a structure (reference points). In our early stages of learning about firefighting we are taught that there are numerous ways to position a ladder for the type of operation that we are engaging in. We are taught that if we want to position a ladder to ventilate a window we throw a ladder to the right or left of the window, keeping in consideration wind direction. For roof operations, we position the ladder 4 to 5 rungs above the roofline. If we are conducting rescue operations, well then we want to position the ladder just at or below the sill. That’s important too. All of these placement tactics are pretty accurate however; aside from roof ops, the best practice is throwing the ladder for rescue. Rescue is the easiest way to get a ladder in place. By doing this we are always prepared for the removal of a victim and if need be self extrication of a fellow firefighter. While the ladder is in place for rescue operations, we can still use this placement for ventilation as well. Often times we will even “slam” the ladder into the window while getting it into position, allowing the window to break, and start the process of allowing heat and gases to escape before we go up and clear it out all the way. Note that when we clean out a window we take out all the glass and sash and turn it into a complete opening that allows easier access for victim or firefighter removal. Some officers would be content with ladders just getting thrown, let alone the order in which ladders get thrown to what windows. When throwing ground ladders there is a rhyme or reason to the order in which the ladders should be thrown and to what windows. The first ladder positioned, should be placed for rescue to where the report of fire is or to where the most active fire is present. We do this because this is where the majority of our personnel will be working. Our first ladder to that window allows an exit if a victim is found, or allows an escape route should something go terribly wrong in that room. From there, all the rest of the ladders that get thrown should be placed to windows of the next most dangerous area to the least dangerous of areas. Don’t forget the rear of the structure has to be laddered as well. When throwing ladders to the rear of a structure, it should be a common practice that the first person that goes to the rear should always radio back to command the conditions that he or she observes on the backside. This keeps everyone in the loop as to conditions on the side that everyone can’t see. Ladders thrown on this side should be done in the same placement fashion as the front side. Essentially when the fire is out and you step back and look at the structure, every ladder should be thrown to every access point on the structure where people could or will be working. No ladder should be thrown to just a wall or thrown just to be thrown. Every one of them should be thrown for a reason and to a legit location. It’s a good practice to have some kind of idea of where the different length ladders will reach on different types of structures. Below is quick reference guide for your basic compliment of ground ladders carried on most truck companies. Keep in mind that not every dwelling has the same exact height from floor to floor, but these distances & reference points are just estimated. This chart is a great chart to print, laminate and tape in the back or side doors of your ladder compartment. One of the more challenging fires in a single family dwelling is a fire in a Balloon frame structure. Fires in these structures will tax manpower quickly. The main challenge is getting to the fire and cutting it off, if left unchecked fire can spread laterally as well as horizontally. Augustin Taylor introduced balloon frame construction in 1883. Taylor, a Chicago carpenter erected the St. Mary's church at Fort Dearborn. He used the idea to nail wall studs together rather than use a post and frame assembly method. With the advent of machine-made nails made it possible the throw up an entire wall at once without the skilled labor necessary to do the cutting and framing required for post and frame construction. In balloon frame construction the studs run 2 or more stories high from the foundation to the eave line. The channel between the studs may be open from the cellar to the attic and the joist channels (floor) may be open from wall to wall. A small fire in the basement can enter the stud channel and spread to the upper floors to the attic. The fire can burn in the floor destroying the integrity for the floor assembly thus leading to a collapse. A small exterior fire that penetrates the wall can run to the attic. companies must be ready to extinguish fires as the truck reveals it. Truck crews need to get to the roof and open it because fire will eventually reach the attic. Smoke will travel throughout the entire structure and may make it hard to find the origin of the fire. A thermal imager camera will assist with finding the seat of the fire. Communities that have many balloon frame construction may have special tools to help combat fires in the stud channels. The navy nozzle with a 90 degree pipe can get into the stud channels and apply water up and down quickly. Personnel must recognize balloon frame structures. All areas of the structure must be checked, this includes the basement and the attic. These firs are labor intensive. Without adequate manpower fires can spread quickly and risk major property damage and possible firefighter injuries. Line officers and Command officers need to call for manpower early in the incident. As we continue to explore and develop options to get our job done with less staffing and more tasks, there are some options that require a step-back analysis to consider the option’s practicality, merit and safety. One such option is using the 20’ straight ladder in lieu of a 24’ or 28’ ladder- the thought being straight ladders are one-person ladders and are easier to place. And a 20’ ladder gets us in the ballpark of a 24’ ladder in some instances. Capitol Fire Training instructors Sam Villani and Dave Polikoff were tasked by the Ocean City, MD Fire Department to write, assist with administering, and assess the practical portion of their Captain’s promotional process. The two were chosen based on their experience with promotional processes. Polikoff has written, facilitated and assessed both in and out of jurisdiction and Villani has facilitated and role played in Lieutenant, Captain and Battalion Chief’s processes- both instructors are company officers in Montgomery County, MD.Capitol Fire Training can assist your department with all elements of the promotional process and is developing an Officer Candidate School (OCS) that can be tailored to your organizations policies, procedures and practices. As with our Engine, Truck, Rescue, and Rapid Intervention Company courses, we are prepared to present to you a package that best represents your department’s needs. For more information on how you can have your company assessed or help with your promotional process contact us today.